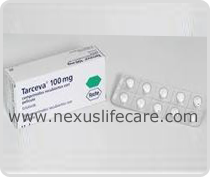 Uses:- Tarceva Tablets is used to treat lung cancer. Erlotinib Medicine is also used with another medication to treat pancreatic cancer. It works by slowing cancer cell growth. It binds to a certain protein (epidermal growth factor receptor-EGFR) in some tumors.